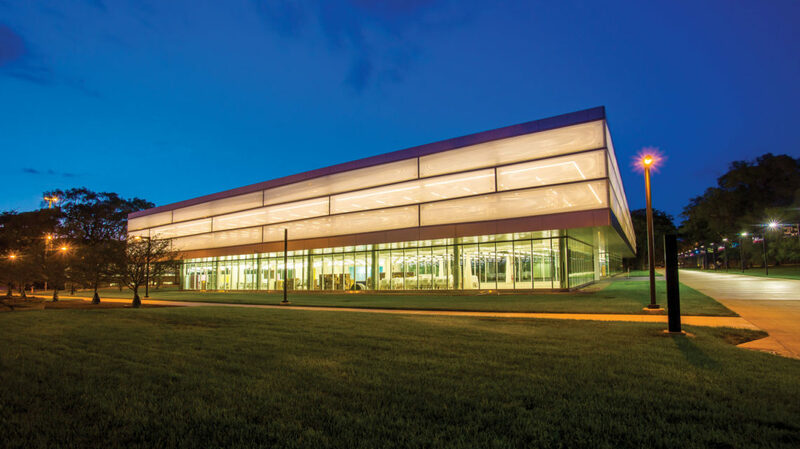 In October 2018, IIT Institute of Design (ID) moved to the new Kaplan Institute on Illinois Tech’s historic Mies Campus. 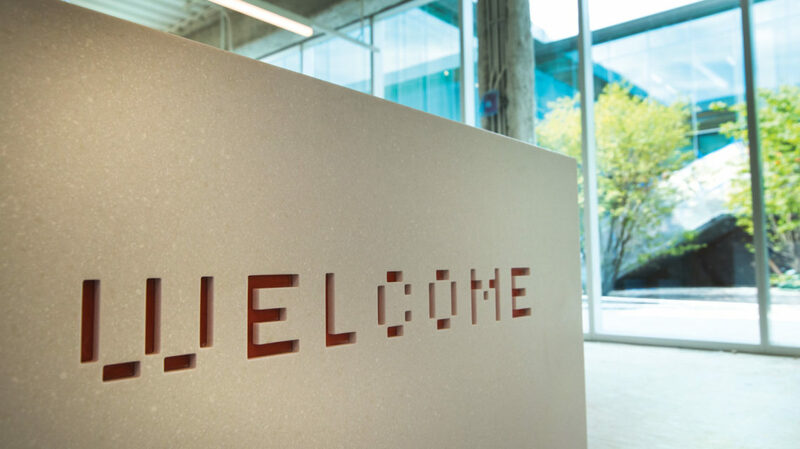 Customized for the ID community—the way we teach and learn, the way we practice, and the way we live—ID’s home on the second floor of the Kaplan Institute is completely open concept and full of light, encouraging spontaneous and continuous interaction between students and faculty. ID students benefit from accessing everything and everyone in one place—classes, workspace, and faculty. Our home includes studio space (with a dedicated desk for all MDes students), flexible classrooms (which transform for the needs of critique, teamwork, lecture, or presentation, etc. ), a faculty hall, conference rooms, and a community kitchen. 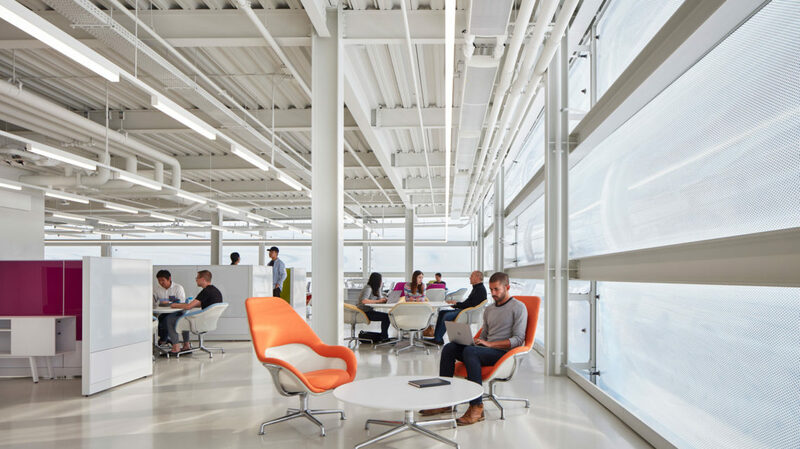 A range of independent and collaborative workspaces honor ID faculty, alumni, friends, and industry partners. Furniture throughout was generously provided by Steelcase, and the Steelcase Commons regularly hosts presentations by leading design thinkers and industry partners from across Chicago and around the world. 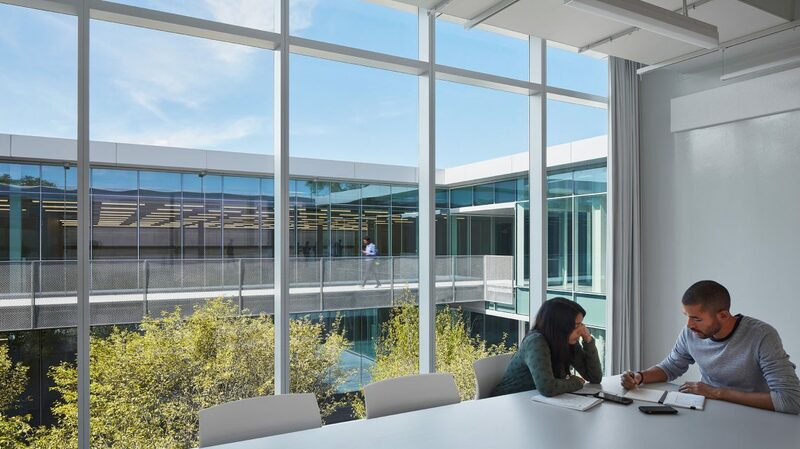 The 70,000-square-foot Kaplan Institute was designed by award-winning Chicago architect John Ronan, professor in the IIT College of Architecture and principal of John Ronan Architects. The second floor of the LEED Gold building, which cantilevers over the ground floor to provide sun shading, is enclosed in a dynamic façade of ETFE (Ethylene Tetrafluoroethylene) foil cushions, the first use of its kind in Chicago. Through sophisticated pneumatics, the façade can vary the amount of solar energy entering the building. 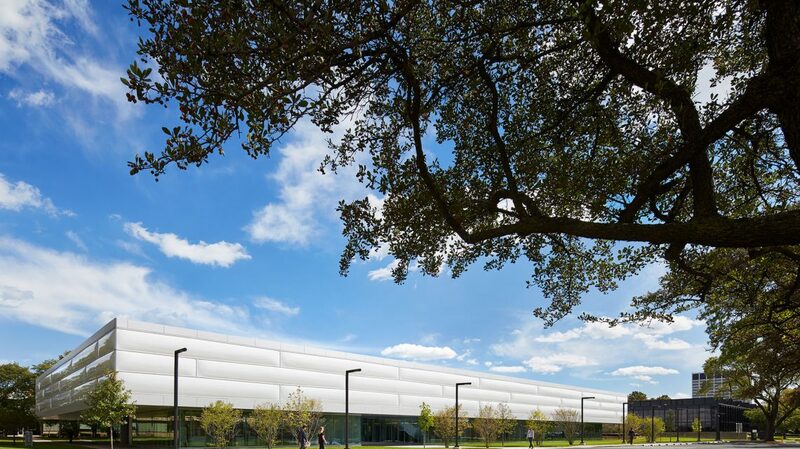 At one percent the weight of glass, ETFE gives the building a light, cloud-like appearance. Conceived as a hybrid of campus space and building, the innovation center is organized around two open-air courtyards. The courtyards bring in natural light and ventilation to create a healthy environment for collaboration. As part of a the Kaplan Institute, ID’s new home promises to help enhance a growing list of viable ideas and products that ID students have developed, and increase interdisciplinary collaboration among the university’s 4,000 graduate students. 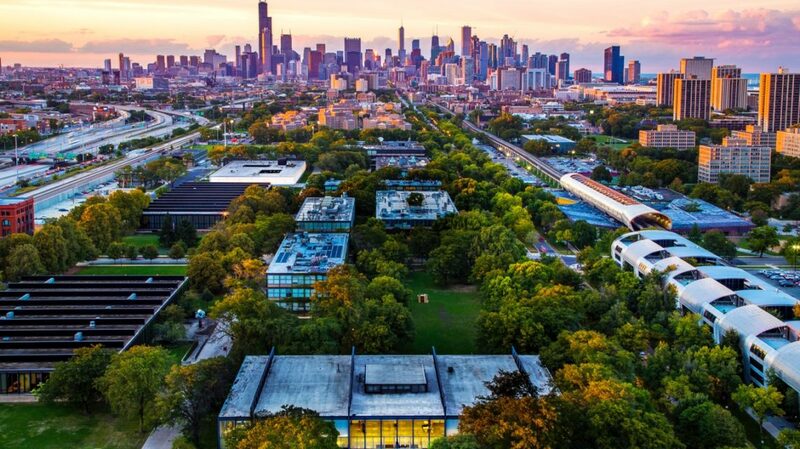 The Kaplan Institute is located in Chicago’s historic and emerging Bronzeville neighborhood, with easy access to the CTA’s Green and Red lines, 90/94, and Lake Shore Drive.